The Internal Revenue Service, along with the Department of Labor and the Department of Health and Human Services, have issued proposed regulations that would allow employers to fund tax-exempted health reimbursement arrangements to help pay for employees' individual health insurance premiums. 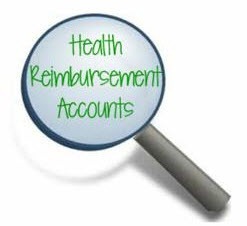 A health reimbursement arrangement (HRA) is an employer-funded arrangement designed to reimburse certain medical expenses incurred by employees, former employees, as well as spouses and dependents of employees. Under these types of arrangements, the reimbursements are excluded from employees' income and wages for federal income tax and employment tax purposes. An HRA is a self-insured group health plan and therefore is an eligible employer-sponsored plan. Accordingly, an individual currently is ineligible for the premium tax credit for the individual's Exchange coverage for a month if the individual is covered by an HRA or is eligible for an HRA that's affordable and provides required minimum value for the month. Although IRS guidance provides that an HRA is an eligible employer-sponsored plan and therefore individuals covered by an HRA are ineligible for the premium tax credit, until now, the IRS hasn't provided guidance as to the circumstances in which an HRA is considered to be affordable or to provide minimum value. The proposed regulations would allow employers that offer traditional group health coverage to fund an HRA up to $1,800 per year to reimburse employees for certain medical expenses, including stand-alone dental benefits or premiums for short-term insurance plans. They also may apply to other account-based group health plains with individual health insurance coverage.